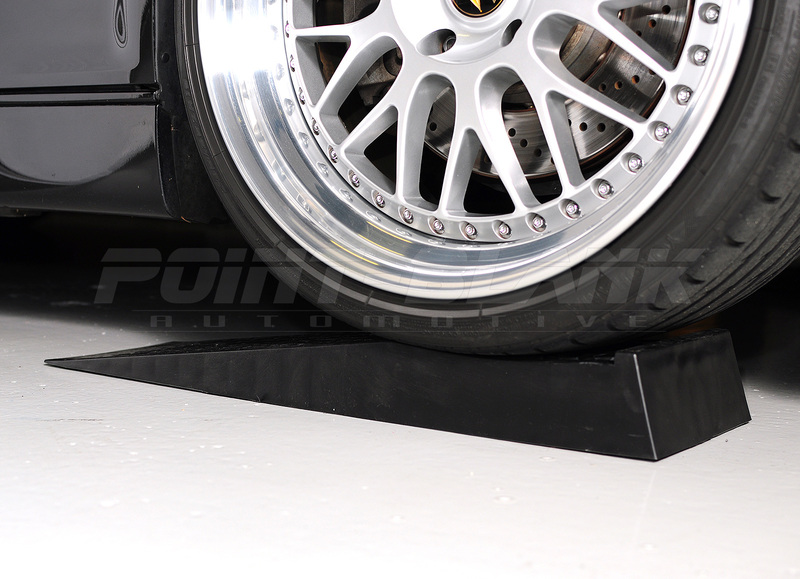 With a lowered daily driver, sports car, or even race car, more often than not getting a trolley jack under the vehicle and onto the jacking point can be a real challenge - there is simply not enough clearance for a standard trolley jack, and even many expensive low-profile race jacks are not up to the task either. The solution is to raise the vehicle just enough using these super low-profile and lightweight ramps, so that you can get just about any type of jack under the vehicle and onto the correct jacking point. 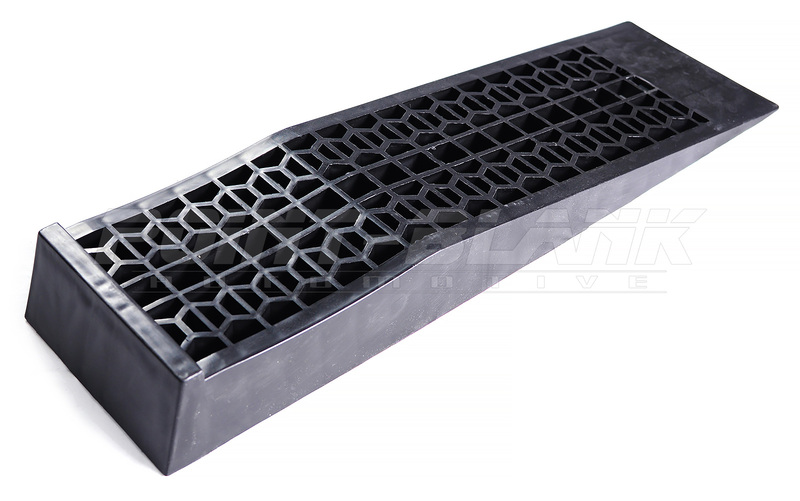 These ramps raise the vehicle approximately 70mm, are 200mm wide and 700mm long. The short length ensures there is plenty of room behind the wheel to place a trolley jack and the gradual slope of the ramps allow them to be used with even the lowest clearance vehicles. They are even small and light enough to keep in the boot of your car for when you need them. The ramps are made from highly durable polypropylene plastic and are rated to 2000kg per pair. Keep in mind that a significantly heavier vehicle can be used on these ramps, since the weight on the ramps will only be a portion of the vehicles total weight. 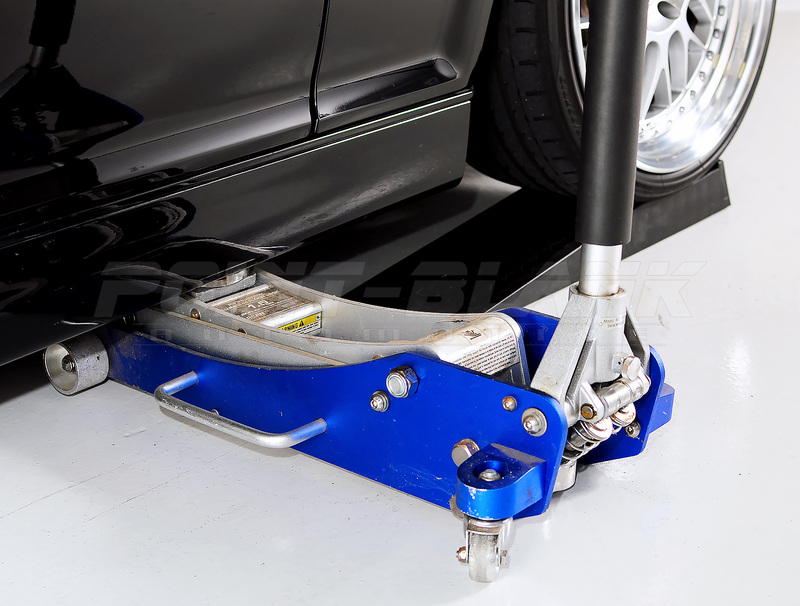 Don't forget that jack-stands should always be used as a secondary safety measure whenever a vehicles is raised off the floor.